﻿Published by Sareth Ney on Dec. 26, 2016 at 1:16 a.m.
ST. AUGUSTINE, Fla. – St. Augustine Film Festival have announced the selections for 2017. They will be screened from Jan. 19 through Jan. 22. The venues involved are the Lewis Auditorium, Gamache-Koger Theater, Corazon Cinema and Café, The Lightner Museum and Flagler College. 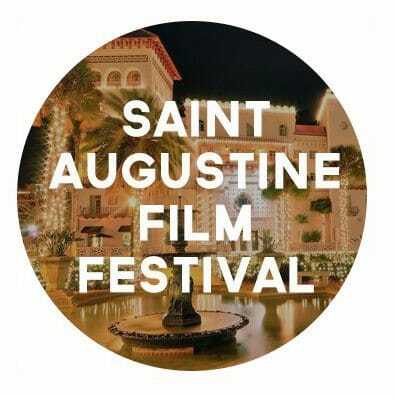 On Jan. 19, films at St. Augustine Film Festival consist of: “A Wing & A Prayer”, “A Hell of a Mess”, “Loro Chi?”, “California”, “One Wild Moment”, “Family Film”, “Le Confessioni”, “Kiki, Love to Love”, “Mirage D’Amour” and “Human”. For Jan. 20, motions pictures being shown at St. Augustine Film Festival are: “Caprice”, “A Hell of A Mess”, “Family Film”, “Our Mother”, “The Great Walk”, “Le Confessioni”, “A Royal Night Out”, “Two Lottery Tickets”, “What Could Possibly Go Wrong”, “Women Who Kill”, “El Soñador”, “One Wild Moment” and more to be announced. “Demimonde”, “A Royal Night Out”, “Family Film”, “Datuna: Portrait of America”, “Le Confessioni”,”The Scent of Mandarin”, FSU Shorts, “In Greed We Trust”, “Klandestine Man”, “Dreamland”, “Loro Chi”, “Born to Dance”, “Mirage D’Amour”, “Mimosas”, “FunkyTown”, “El Soñador”, “Kiki, Love to Love”, “What Could Possibly Go Wrong” and “Dreamland” will be shown on Jan. 21 at St. Augustine Film Festival. Two screenings of “Bulgarian Rhapsody”, “In Greed We Trust”, “Mimosas”, “The Scent of Mandarin”, “Foster Shock”, “A Wing & A Prayer”, “Caprice”, “Death by a Thousand Cuts”, “Tomorrow Ever After”, “Our Mother”, “California”, “Una Noche De Amor”, “Demimonde”, “Women Who Kill”, “Two Lottery Tickets” and two films to be determined will be viewable on Jan. 22 at St. Augustine Film Festival. Events taking place at St. Augustine Film Festival includes food, drinks and parties. On Jan. 20, opening drinks and hors d’oeuvres will be served at The Lightner Museum for $20 per person. The opening night party at The Lightner Museum Ballroom for $45 each will also take place, on Jan. 20. The Centerpiece Party takes place at The Collector Luxury Inn & Gardens on Jan. 21 and tickets are $35. The Wrap Party is scheduled to take place at The Solarium atop Ponce Hall on Jan. 22 and is free to attend. The Great Walk and FunkyTown Electric Zumba (free) will both take place at Lewis Auditorium. Exact times for each film and the establishments displaying them at St. Augustine Film Festival, can be seen by clicking here. Tickets to attend the viewings and parties range from $7 to $110 and can be purchased by clicking here.